Sizes listed here are current "in-stock" sizes. Other sizes and handle options available for special order. Call with any questions! Please click HERE to view the Root Pouch website to select the products that best suits you! Call us for pricing and lead time! Need help deciding? Contact us and we can have a rep get in touch with you to help guide your needs. 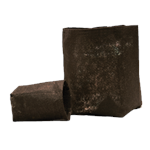 Thickest and heaviest semi-degradable fabric, making it the most durable and long lasting of the Root Pouch semi-degradable options. Great for propagation and Ebb & Flow applications. 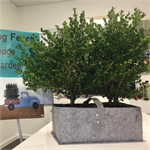 The Grey 3-4 year fabric is ideal for nursery growers that want a fabric that will hold strong.